First place in the group, a passport to the main draw, the leading names in the Girls’ Singles event at the 2017 Argentina Junior Open in Buenos Aires, all enjoyed a trouble free opening day on Sunday 18th June; players from the United States being most prominent. 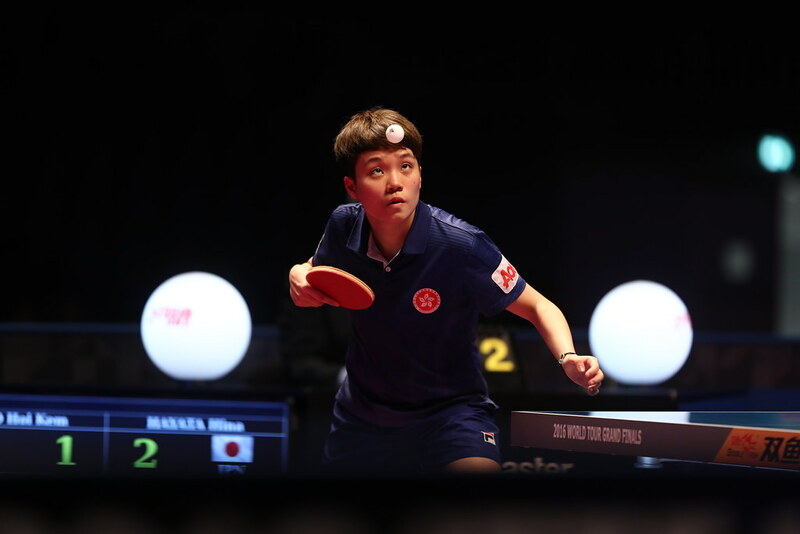 Amy Wang, Rachel Yang, Rachel Sung and Grace Yang all secured first places in their respective groups as did Brazil’s Bruna Takahashi, the top seed. Likewise, Ecuador’s Nathaly Parades, Lucia Cordero and Paraguay’s Leyla Gomez, the players who complete the top eight names, remained unbeaten; first place in the group reserved and thus progress to the second stage. Meanwhile, for the host nation, with players new to the international scene making tentative steps, Muriel Rajmil, Isabella Fragapane, Aldana Gonzalez and Candela Perez all secured second places in their respective group; most creditable performances. Runners up spot meant a place in the main draw; it was at that stage more seasoned competitors ended progress. Candela Perez and Muriel Rajmil both experienced defeat at the hands of the Dominican Republic. Esmerlyn Castro ended the progress of Candela Perez (11-9, 11-8, 11-8, 11-6), Cinthya Sanchez accounted for Muriel Rajmil (18-16, 11-7, 11-2, 13-11). Likewise, Ecuador’s Paola Cedeño overcame Isabella Fragapane (11-4, 11-13, 7-11, 11-5, 11-8, 11-8); Paraguay’s Cierlo Mutti proved too strong for Aldana Ganzalez (11-8, 13-11, 11-9, 11-9). Defeats for Argentina, but there was one bright light, a very bright light; Camila Kaizoji, the no.11 seed, beat Paraguay’s Lujan Rotela (11-4, 11-9, 8-11, 11-2) and Ecuador’s Emely Quinllin (11-7, 11-8, 11-7) to conclude her group stage matches unbeaten and duly top her group. A place in the main draw secured; she duly maintained her form; she accounted for Peru’s Teresa Chan (11-7, 11-3, 11-8, 11-6) to reserve her place in the second round of proceedings. Play in the Girls’ Singles event at the 2017 Argentina Junior Open concludes on Monday 19th June.